You’ll find educational articles designed to help prevent you from becoming a victim of fraud, as well as contact information if you suspect your account has been compromised. 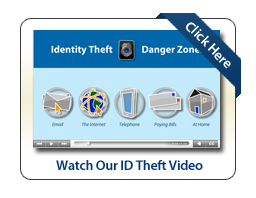 Be sure to check out our Identity Theft Prevention video to learn tips & tricks on how to keep your identity secure while using e-mail, the telephone, and the internet. For additional information on protecting your identity visit the Federal Trade Commission website. Disclaimer: Links to other websites found here are provided to assist in locating information. The existence of a link between this website and another does not constitute a product or program endorsement by Beacon Credit Union or any of its affiliates or employees. The credit union has no responsibility for content of the websites found at these links or beyond and does not attest to the accuracy of propriety of any information located there.